COURTHOUSE BENCH: This bench, now on display in the museum conference room, once resided in the hallway of the San Diego Courthouse at 220 W. Broadway. 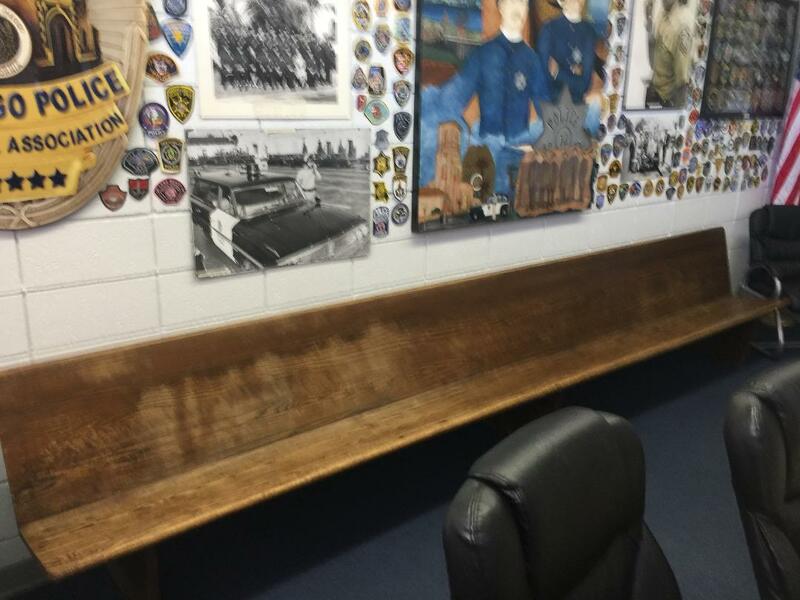 Thousand of officers sat on this bench waiting to be called into a courtroom to testify. It deserves a brass plaque to commemorate its history. The sponsor(s) of this exhibit will be memorialized at the bottom of the custom engraved plaque. 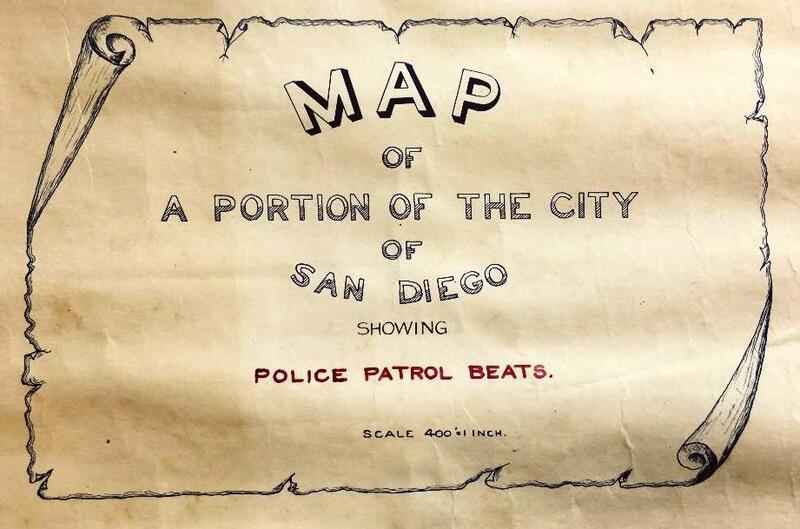 (2) 1910 BEAT MAPS: These massive linens map measure 48 x 120 inches and memorializes SDPD's patrol beats. They need to be custom framed to preserve them as well as make them available for display. Sponsor will be credited with a custom engraved plaque incorporated in the exhibit. As a 501C3 public charity, your donations are tax deductable. Consult your financial advisor for specific details. E.E. CAMPBELL: On August 27, 1913, Motorcycle Officer Emery E. Campbell was murdered in the line of duty while attempting to arrest an armed man. In 2018, the San Diego Police Department awarded Officer Campbell a Medal for Valor and the Police Cross. 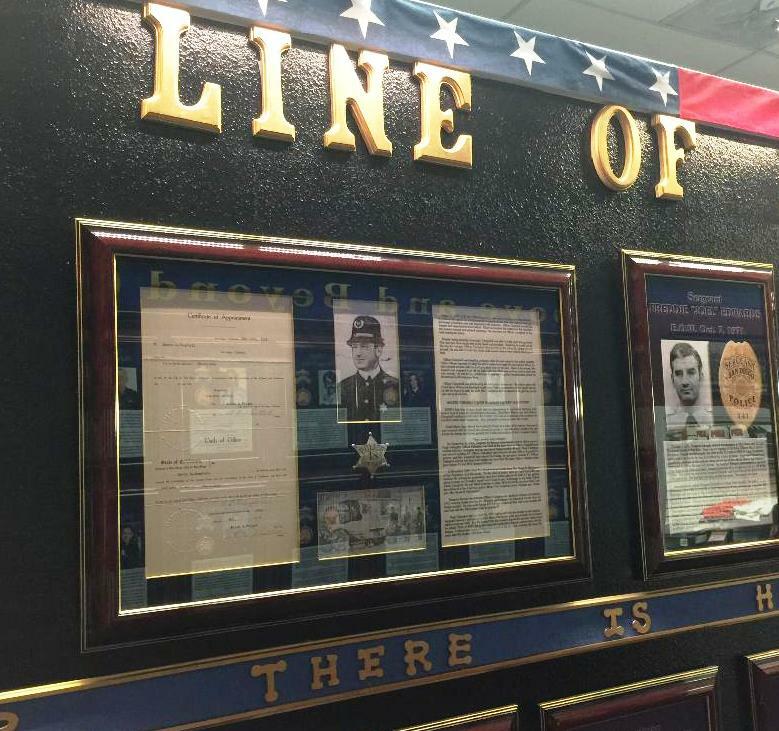 A sponsor is needed to fund the redesign of his shadow box which centers the "Line of Duty" Memorial Wall within the San Diego Police Museum. Sponsor(s) of this exhibit will be memorialized with a custom engraved plaque within the redesigned shadow box.